Lacey, Elise, and Giles. They grew up together on a mist-shrouded island off the Georgia coast. Long ago, and without Giles's ever knowing it, Lacey gave birth to his son. But Elise, the beautiful, domineering one, got Giles. She got Lacey's child, too, to bring up as her own. One star is the for the writing and the other star is for the atmosphere. But otherwise, I can't bring myself to understand what was even going on in this entire tale of chaos. It felt like a daytime soap, with birth secrets, dysfunctional family dynamics, and characters soaked in amorality. The heroine was a clueless pushover who couldn't seem to figure out how to stand up for herself NOR fight for her life, and her antagonist really had way too much power, with everyone letting her get away with every misdeed. The little boy seemed too old for his age, and none of the men really stood out aside from spending all of their time brooding and acting self-righteous. 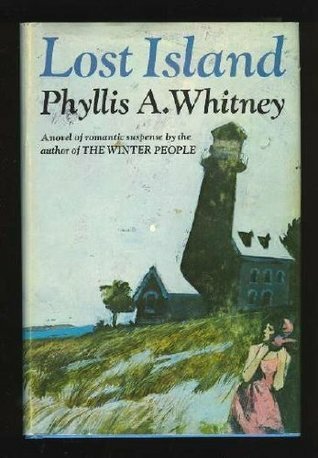 I've been interested in Phyllis A. Whitney for some time now, after seeing her name surface in discussions of Gothic romance or romantic suspense. I'm thinking that this book was probably NOT the best one to start with, but it happened to be one I came across at the library one day. In all honesty, the fact that I DID get drawn into it in spite of the convoluted plot and dysfunctional character dynamics is a feat in itself. So this isn't an entirely terrible book, and a younger Ani might have actually enjoyed it more a long time ago. Here's a quote that I particularly liked, though, for whatever reason. The writing, as I've mentioned, was probably one of the best things going for this book. The smell of the ocean is something one never forgets. I breathed it deeply as the wind came whipping into my face, tossing my hair. The tide was part-way out and the sound of surf rushing in over the low shore summoned me to follow it. I walked toward the sea wall.